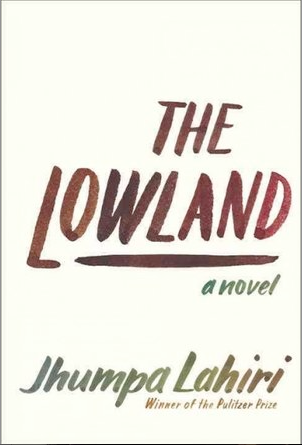 Lahiri Jhumpa’s novel, The Lowland, is a brilliant work of masterful storytelling. The story finds its impetus in the political turmoil of India in the 1960’s, but it’s not a political novel. The story is underpinned by the structures of Indian society and culture, but it’s not a novel about India. The story goes back and forth between India and the U.S., but it’s not a novel about the immigrant experience. The novel opens with two brothers in their childhood. Not only are they brothers, they are best friends playing and going to school in a middle class neighborhood on the wrong side of Calcutta. Udayan is the younger brother, impetuous and daring, Subhash, the older, more cautious brother. After the first few years of college, their paths diverge; Udayan becomes involved in Maoist revolutionary underground activities: Subhash goes to the US to complete his graduate work. The decisions and consequences that each of the brothers makes early in the story reverberate throughout the story, and as it turns out, throughout Subhash’s life and the life of the next generation. At it’s heart, it’s a story about the consequences of our decisions and the impact they have on those around us. We make decisions, sometimes in the mistaken belief that they are our decisions and that they will have, at worst, minimal impact on those around us. But they often — no usually — reverberate in places and ways that we could never have imagined, in ways both good and bad. Like it or not, we leave legacies for the people around us, and we are the recipients of the legacies of others. We often have no control over the decisions made by those we love, but we end up having to bear the consequences of their decisions. Some of us become completely immobilized by the forces over which we have no control. Others of us manage to forge a life anyway, even in the midst of the pain and tragedy that constitute the chapters of our own lives. I. While some critics have called the novel over-reaching and that it fails to deliver on the promise of the epic story laid out in the early chapters. I don’t agree. There’s a reason why it was short-listed for the Man Booker Prize. Lahiri writes in a sparse style, yet somehow manages to be elegant within her economy of words. The tale is masterfully constructed and beautifully told; I found it to be honest, yet hopeful. It’s one of the best novels I’ve read in the past year. This entry was posted in Uncategorized on January 10, 2014 by Jim Honig. Jim — You have enticed me to buy another book for my Kindle — it is in a queue, as I am working on three others at present. I have never been disappointed with a book that you recommend!